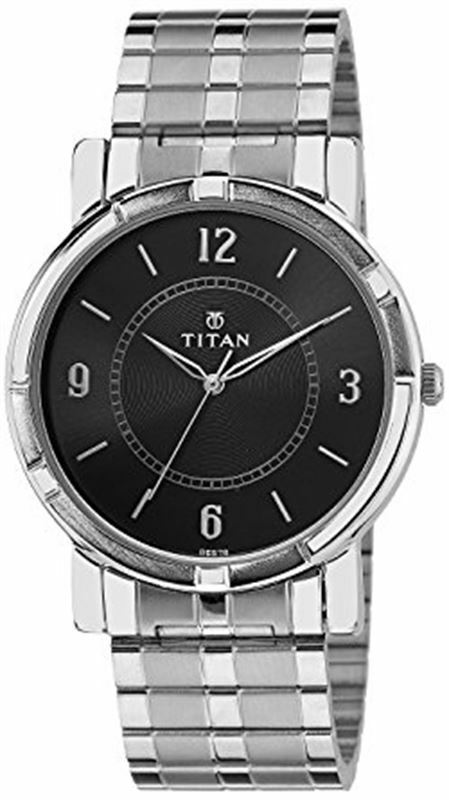 This Titan Karishma watch for men is an Analog watch with plain 3 hands with a quartz movement. The black dial is set within a round case and goes perfectly well with the stainless steel strap. The dial carries mineral glass cover on top.